Apple shaped cupcakes are all the rage in our house. Why? Because we LOVE fall and we love apples. Both of us were born and raised in Washington State where the apples are delicious and plenty. We both have nostalgic memories of apple trees and all of the delicious varieties of apples our home state has to offer. 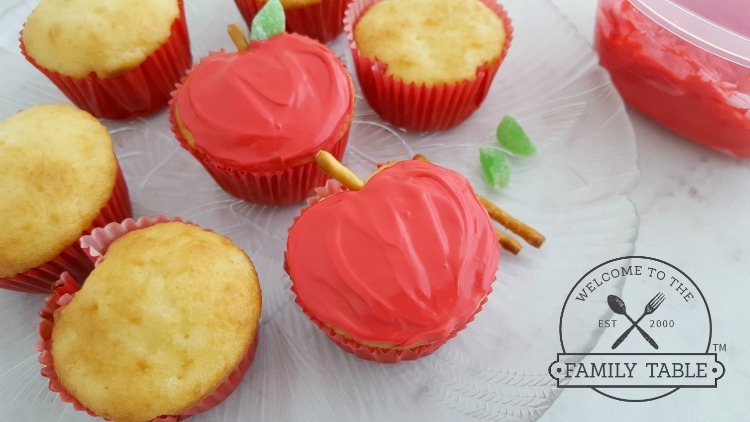 Today we are sharing some easy and fun apple shaped cupcakes to make with the kids (or grandkids)! These are super simple because they actually use a store bought cake mix and frosting along with a few minor embellishments. Perfect for fall, back-to-school, teacher appreciation, and any other thing your apple loving heart desires. Place cupcake liners in 2 cupcake pans (red worked well for this). Using aluminum foil, tear off a small section and roll it up into a cylinder – approximately ½ in diameter. Place it at the top of the cup in between the cupcake liner and the pan. It will most likely pop out of place until batter is in the cup – but adjust as needed before placing into the oven. Do the same for all 24 cups. 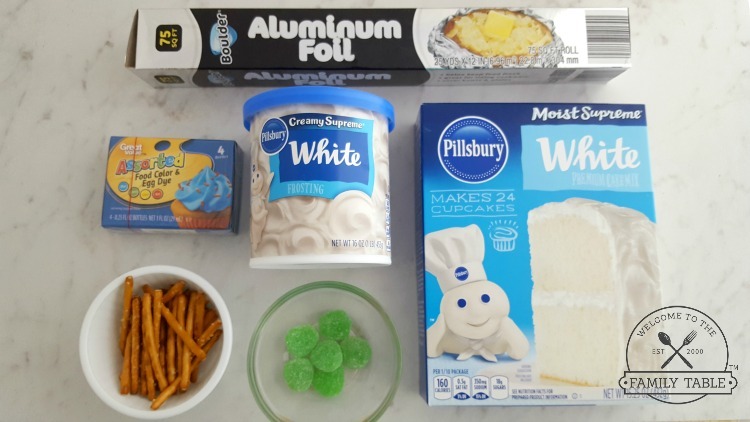 Prepare and bake cupcakes according to box mix directions. Allow the cupcakes to cool completely. Mix red food coloring into frosting until desired color is reached. Frost each cupcake using a thin layer. 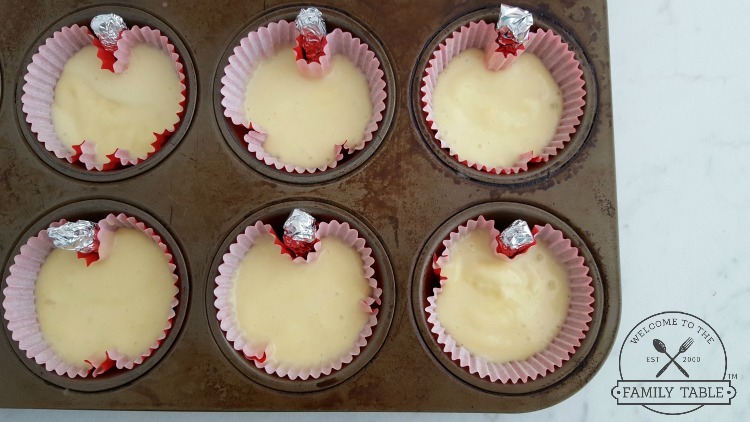 Place a pretzel stick half into the top (front) of the apple cupcake to create the stem. Place a gummy leaf next to the stem. 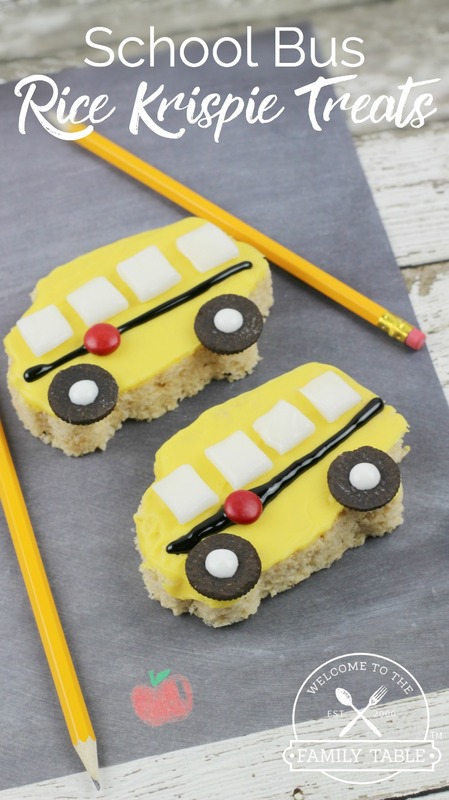 Notes: These would make adorable teacher gifts, great for fall parties, for back to school events, etc. 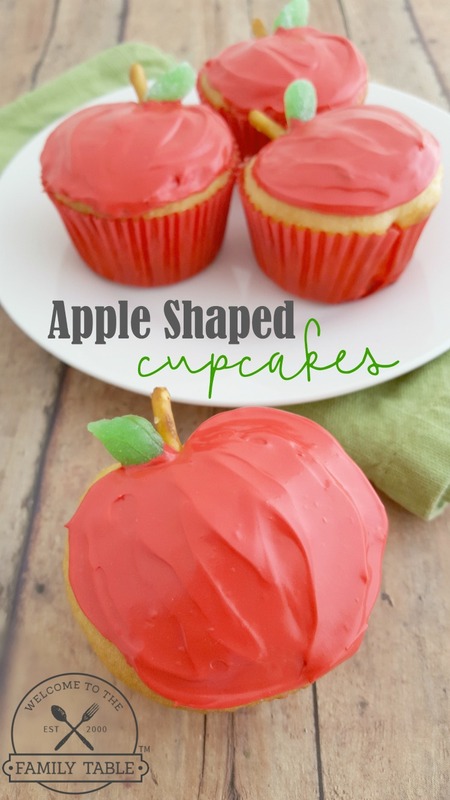 These adorable apple shaped cupcakes are perfect for your next fall party, teacher appreciation gift, or just because you love apples. Place cupcake liners in 2 cupcake pans (red worked well for this). Using aluminum foil, tear off a small section and roll it up into a cylinder - approximately ½ in diameter. Place it at the top of the cup in between the cupcake liner and the pan. It will most likely pop out of place until batter is in the cup - but adjust as needed before placing into the oven. Do the same for all 24 cups.